Welcome to Rogers Performance - 305 RaceSaver Engine Packages NOW Available! Welcome to our new LOOK. The whole site has been updated! Please enjoy your visit. We offer Monthly Specials so check back often. We at Rogers Performance want to give our customers the best possible service and workmanship and provide you with the best quality product we can. 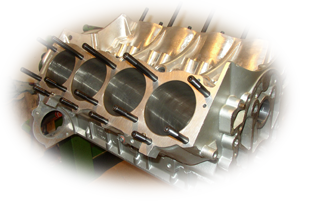 Whether we are working on a $30,000.00 racing engine or a set of $200.00 street heads, we give you the same type of standards that got us where we are today.